Carbon Tax - is it a key policy in the fight against climate change? Carbon Tax – is it a key policy in the fight against climate change? As politicians argue about climate change and carbon pricing, one undeniable fact is getting lost: the world is moving to a cleaner, smarter, low carbon economy. That is not a left wing or right wing issue. It is an environmental and economic reality. One that requires leadership from an Ontario government of any stripe — through smart policies, incentives and (yes) carbon pricing, to help Ontarians prepare for and prosper in a changing world. Look around, you can see the change happening. High efficiency buildings with next generation lighting and energy management systems; electric cars on roads lined with bike paths; solar panels on rooftops and farmers’ fields; industries adopting state-of-the art clean technologies. These once-rare things are increasingly common, and soon they will be the norm. Clean energy now draws more investment than fossil fuel energy worldwide. The sale of gas-powered cars has been banned by 2040 (or sooner) in many countries, including Britain, China, India and France. This shift to a clean economy is being driven, in large part, by the concerted efforts of governments around the world (spurred by the Paris Climate accord) to bring in low-carbon policies and incentives. This has helped to unleash private initiative and accelerate the pace of clean technology development — reducing the costs of solar panels and electric car batteries by 80 per cent in the past seven years, for example. Ontario has been among the global front-runners in this economic shift. Like other leading governments, it has used a mix of public policies and incentives to help accelerate the move to energy efficient buildings, smarter transportation, cleaner industries, and greener power. For example, by phasing out coal-based power, the province massively reduced greenhouse gas emissions and harmful air pollution — saving thousands of lives and billions of dollars in health costs. The centrepiece of Ontario’s efforts has been a cap-and-trade system, linked to California and Quebec. This system puts a price on carbon, to reflect the real environmental costs — an approach that is widely supported by economists as well as business and environmental leaders, because it is the most cost-effective way to reduce emissions, stimulate innovation, and drive energy efficiency. That is why carbon pricing is now used in seven of world’s 10 largest economies. It isn’t a left wing or right wing idea. In fact, Canada’s first two pricing systems were brought in by right wing governments in Alberta and B.C. And it is championed by conservative leaders around the world, such as Angela Merkel, Arnold Schwarzenegger, and Preston Manning. It reduces emissions at less cost than any other type of policy. It is no coincidence that the four provinces that have priced carbon had the strongest GDP growth in Canada last year (including Ontario). In fact, since B.C. brought in its carbon tax in 2008, it has reduced emissions by 7 per cent more than the rest of Canada (for sectors it covers), while its GDP growth has outpaced the rest of Canada’s by two-to-one. 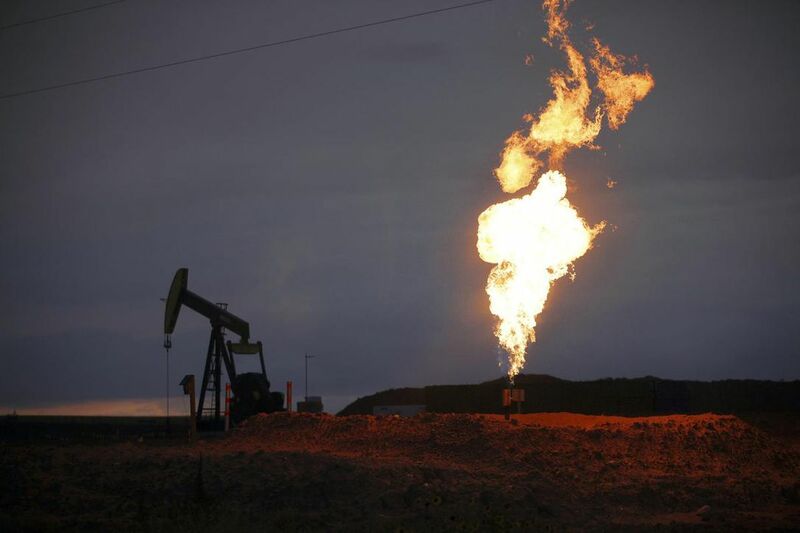 “To achieve the goal of curtailing fossil fuel use enough to meet the Paris Climate Agreement, our current technology requires carbon tax so high that they are a political non-starter,” writes Philip Cross. 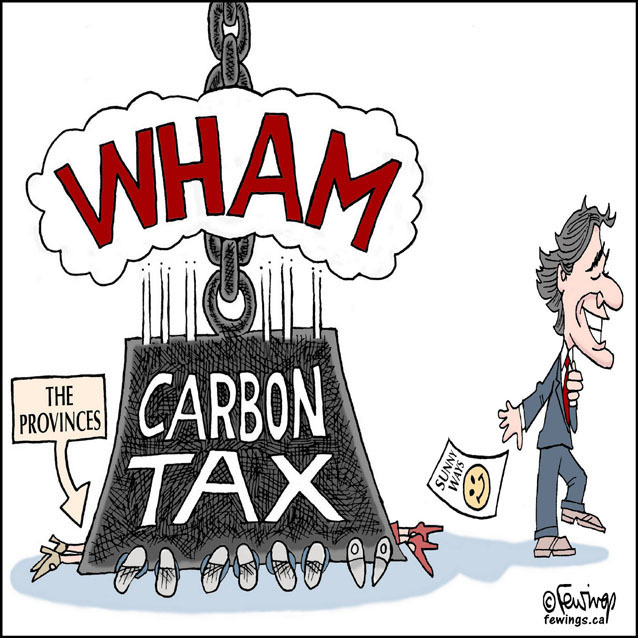 When first proposed, a carbon tax had the potential to be an effective way of achieving the long-term goal of reducing greenhouse gas emissions. However, its introduction and the ongoing campaign conducted by advocates have become so politicized and corrupted by ideology that it is no longer politically tenable, while rising oil prices reduce its economic necessity. Instead of a major overhaul to the efficiency of the tax system, supporters now meekly argue that a carbon tax is just one of a wide range of solutions (the federal environment minister recently was reduced to pledging to plant more trees to make its climate change plan palatable to the public). Small carbon taxes are not a serious proposal to curb emissions, but the equivalent of buying a papal indulgence to alleviate our collective conscience with a largely symbolic gesture to climate change action. Waning interest in a carbon tax is not necessarily a bad thing for the environment. Even without a meaningful carbon tax, fuel prices across North America are at, or near, record highs this summer. Proponents never clarified how the tax would interact with changes in oil prices: low prices made a carbon tax seem acceptable, but high oil prices make it feel punitive to the average person already struggling with higher fuel costs. High prices have not always proved the best way of promoting energy efficiency. Significant progress has been made using other tools. Mandatory mileage standards for vehicles have resulted in dramatic increases in fuel efficiency, allowing North Americans to drive larger vehicles without guzzling more gas. Electricity generation has been largely de-carbonized in Canada through government fiat, while in the U.S. a shift away from coal was driven by a drop in natural gas prices, not higher taxes. Most fatally for the carbon tax, it has become politicized. In its early days, people on both the left and right of the political spectrum supported a carbon tax. Conservative leaders such as Patrick Brown and Jim Prentice advocated versions of the tax. Now their heirs in Ontario and Alberta have joined a growing number of conservative parties opposing it, including at the federal level.